In 2013, I did a series on County Party Finances, illustrating the financial health of local party organizations. Over the next few days, we'll update that series with the 2015 figures. 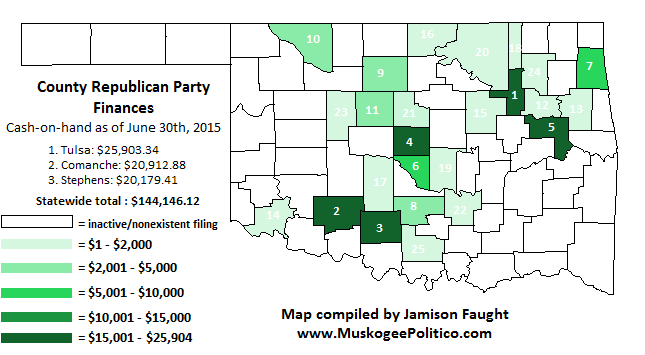 On the Republican side, 25 county parties are up-to-date (2nd quarter) in their campaign finance filings. That's up from 17 counties in 2013. 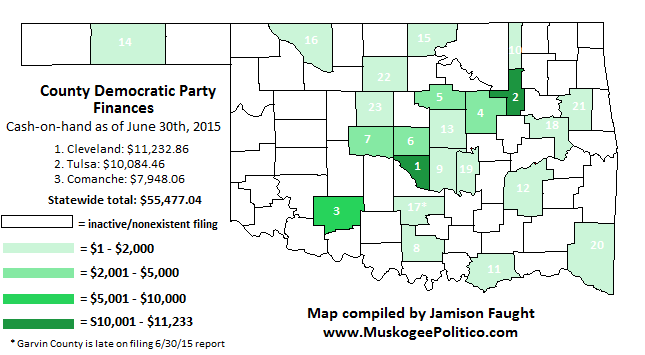 On the Democratic side, 22 counties are up-to-date, and 1 county (Garvin) filed a 1st quarter report. That's also up from 17 counties in 2013. 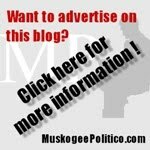 The top five counties on the GOP side are Tulsa ($25,903.34), Comanche ($20,912.88), Stephens ($20,179.41), Oklahoma ($18,282.18), and my home county Muskogee ($16,675.86). The lowest county is Carter, with $8.92 on hand. 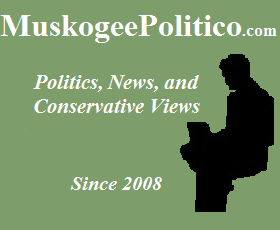 Last time we looked at this topic, Tulsa County had not filed an ethics report since 2007. 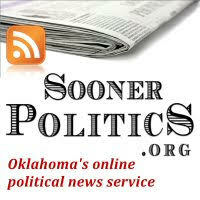 They recently began filing reports (new leadership in charge), and jumped to the top of the pack in fundraising. 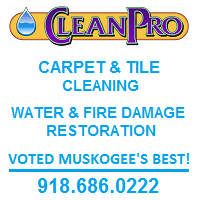 Comanche, Stephens and Muskogee counties have consistently been in the top five (or less) for years. 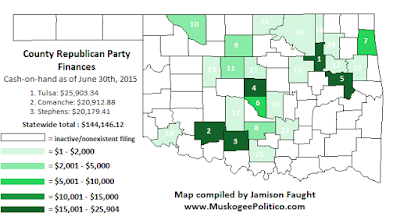 All told, the 25 GOP county parties have just over $144,000 in the bank. 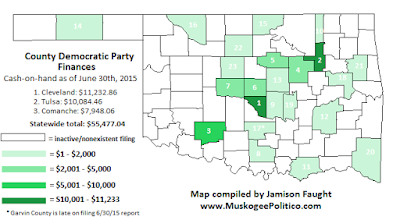 The top five counties on the Democratic side are Cleveland ($11,232.86), Tulsa ($10,084.46), Comanche ($7,948.06), Creek ($4,773.98), and Payne ($4,358.33). The lowest county is Kingfisher, with $56.76 on hand. 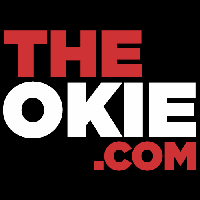 All told, the 23 Democrat county parties have just over $55,000 in the bank, almost $75,000 less than their Republican counterparts. Next time, we'll look at the totals for receipts and expenditures.